Last Updated: 28th February 2019 – I intend to keep this post updated as people seem to find it useful and places keep moving or closing down. Any questions please leave a comment below. I realise kitchenware is not the most riveting of subjects for some but personally I do love a kitchen gadget. I like most gadgets, but as I’ve gotten older the kitchen gadget is my want. If I had a garden then I’m positive I’d like garden gadgets, but I have a 3m square terrace so the kitchen is my gadget domain. 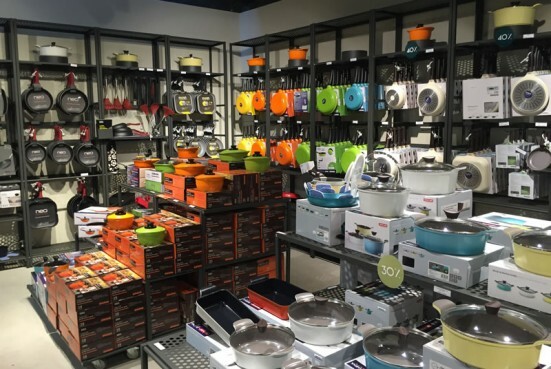 Kitchen Shops in Barcelona: I’m not talking about shops selling fridges or dishwashers or whole kitchens. These are shops for people looking for that cool item that does a certain cooking task the perfect way. Or the perfect gift for a foodie friend. As well as of course great knives and cookware.